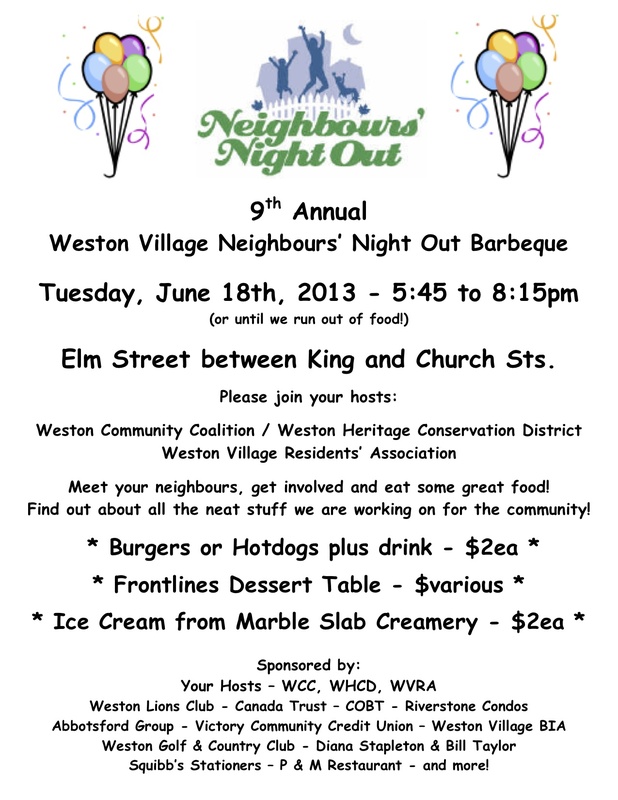 Weston Community Coalition, the Weston Heritage Conservation District, and the Weston Village Residents’ Association are hosting the 8th Annual Weston Village Neighbours’ Night Out. This year’s event will take place on Elm Street, starting at 5:45 pm. 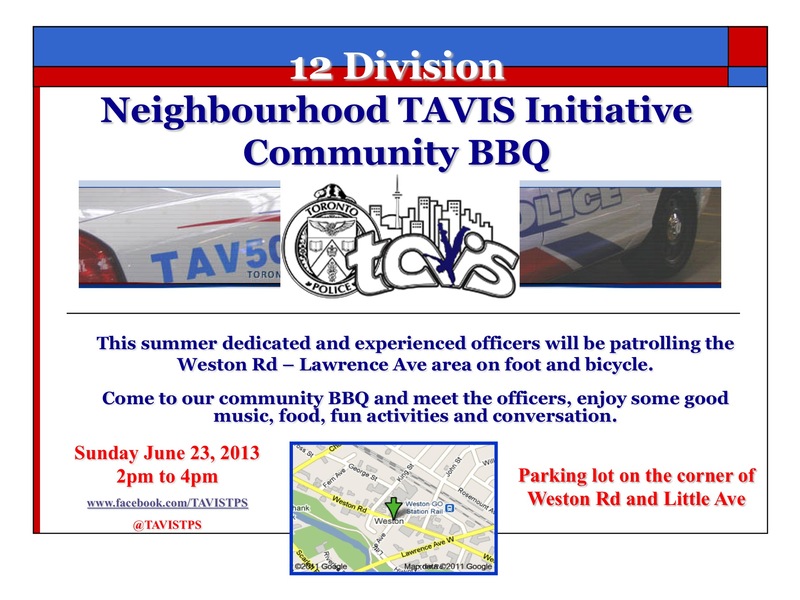 Sunday, June 23 from 2–4, 12 Division will be having a community barbeque at Weston and Little. Next Next post: Weston Farmers Market officially open.